Dreaming? I’m pretty sure this would keep me awake at night. “You remember your dreams in a lot of crazy detail,” my friend Diana Bauer said. She lives up where the air is thin and dreams find it harder to escape. I pretend mine are interesting but I have trouble remembering them. Often a lot of trouble. She suggested a dream journal. Night 1: I wasn’t particularly tired but I got to sleep as quickly as usual and remember waking just once around 2:00 local time. I may have awakened somewhere in the middle of a weird traveling dream because it got split into two different episodes. Night 2: More normal except for a wackadoodle dream in which I really did think I was in a different house/apartment/hotel suite when I got up to pee and was completely surprised that I knew where the bathrooms were. Night 3: I had trouble getting to sleep and think I woke early. The worst came when I dreamed I woke an hour ahead of the alarm. I was in North Puffin, in my study, when I realized I was up so early. I spent some of the extra time vacuuming. Now I feel as if I slept only about two hours all night. Wait. I want to remember that? We humans average five sleep cycles per night with a period of REM sleep at the end of each cycle. Most people dream for 100 minutes each night. The closer it is to morning, the longer your REM sleep is and the closer to remembery your dreams become. “If you have trouble remembering dreams, you can use a lucid anchor. Anchoring comes from the fascinating branch of psychology called Neuro Linguistic Programming. 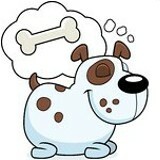 Just before you go to sleep, choose an object that you can see clearly from your bed. This is going to be your anchor” the World of Lucid Dreaming tells us. I’m hoping I don’t have to sleep with a night light. I was awake out of an action-adventure dream for both our South Puffin trash trucks 20 minutes before the alarm. At the end of the dream I was defending a storefront from a gun attack by people we probably knew but knew we wouldn’t recognize. Somehow I twigged that it would be a Bonnie and Clyde team and that the bonnie looked like Johnny Depp. Then I was snuggling with SWMBO, trying to get some rest before the attack, when I woke. Creative people commonly have stronger dream memories. Wait. I’m not (particularly) Freudian, nor do I play a shrink on TV. Why do I want to? I can’t repeat my pornographic dream in this family-friendly forum but strong men expressed surprise and women left wailing. I have always had the idea that once, just once, I’ll dream a story I can write and sell. Awake or asleep, we writers are dreamers. I want to forge a link between the imagery and symbolism of my dreams so perhaps a story or a novel will spring “fully found” onto the page with no work beyond transcription on my part. It’s not so far-fetched. Stephen King told Naomi Epel In Writers Dreaming, “… I had a dream about leeches inside discarded refrigerators. I immediately woke up and thought, ‘That is where this is supposed to go. '” That took his novel, It down the road to the publisher. Ms. Epel discussed dreams and the roles they play in their work with Maya Angelou, William Styron, Art Spiegelman and 22 other writers. I’ll be satisfied, though, with “just” a plot point or a look at a character’s back story. It was a two-memorable-dream night. I don’t know why I keep having traveling dreams but this one was fairly realistic except for the hotel part. I was at a hotel trying to get the truck packed for a road trip. Anne and a couple of others kept distracting me. She wanted to look at this, pack that, go here, do the other thing. In the middle, an arts council sponsor called me and I had to talk him into running a TV story about the Rotary Home Show. I had accomplished that and it was only 3:00 in the afternoon when one of the gang traveling with me told me the camping trailer I was towing was on the road, ready to hook up. I was to take it to Watertown NY on my way to South Puffin. Watertown is west, and nowhere near anywhere I might have been going. I have always had the idea that once, just once, I’ll dream a story I can write and sell. This Dreaming piece may be it, but I’ll keep trying anyway. Before any impressionable younger (experience-challenged) readers get excited, none of these are the seven words that once upon a time could not be repeated on television. I’m not sure if this is a lament for the natural mutation of language or an ode to a politically correct lexicon. You decide. There is one other caveat. Correctness is in a terrible state of flux. By the time this column appears, all the words may have changed again. Bomb shelters (underground symbols of the fearful manipulation of other-thinking nations) became swimming pools (environmentally appropriate aquatic exercise centers) a few decades ago. The millenial milestone (measured from a date Before the Current Era) has passed. Today that tumult has turned inward. Today we might hear a gentleman with a conservative agenda called a fossilized futzwuffle by a lady of a liberal persuasion. Does that mean the lady is a tramp? This column may cook my personal goose. to protect privacy. The street names haven’t. Gay Lombard was a high school classmate. She lived up to her name: cheerful, engaging, involved in good works. The main intersection in a small Pennsylvania city is the corner of High and Gay. Except the long blue nose of Standards and Practices hasn’t allowed us to get higher since Ed Sullivan presented the Doors. Gay was once a delightful word but because kindergartners titter, certain congressmen grow red faced, and most others with the mentality of five-year-olds get flustered when they hear it, many of us have forsaken gaiety. That’s a loss to Mr. Penn’s sylvan commonwealth, to Ms. Lombard, and to the language. Vermont now has two cool “oldies” stations. One, serving the Champlain Valley, doesn’t quite reach our friends in North Puffin, but does play neat car tunes for them whenever they drive south of the county seat. The North Country station hits every hill and valley in the county, giving folks less reason to travel. Oldie in this sense is, of course, merely a statement of chronology that relates solely to the musical era of the baby boomers. My dad thinks oldies means big bands, but we can’t convince any radio magnates of that, so he suffers through the Beatles, and Jerry Lee Lewis, and the Sensations. We who grew up as musically challenged baby boomers enjoy the tunes. No one over the age of five would dream of using the word to describe anything (or anyone) calendar-measurement challenged. Not even my mom who complains whenever I have a birthday. My mom always joined the “gals” (her word, not mine) for bridge club. Your dad went out with the boys. Although mine are in their seventies (persuns-of-a-chronologically-advanced-stature), they can’t use those terms either. And the word cop best not catch us calling them oldies. What to do? I teach a college course most semesters. Since I enlighten male and female students alike, I need an acceptable device showing my thoughtfulness when addressing the entire class. “Girls” obviously fails. “Boy” is perhaps worse. I thought guys might work, as in, “Hey guys. May I have your attention?” Honk! Wrong answer. They told me Youse guys would be all right if I could fake a Brooklyn accent. individual’s shadow invades the shadow’s domain. who fear the least shadowy eye contact. “Watchin’ persuns of any chromosomal variance go by. Do you think that changes the melody, too? It occurs to me, in these days of political correctivity, that if boys weren’t girl watchers and girls weren’t boy watchers, there would be darned few hupersuns here to watch. Editor’s Note: This column first appeared in the Burlington Free Press in 1996. I have made only minor updates. First week of the first month of Spring and it’s time for Random Fancies! Today, I’ll link barber shops and movie tickets and inflation, something I am doubly unqualified to do1. My first real job (it had a paycheck and withheld taxes and everything!) was as an usher in the Warner Theater six miles from home and I whiled away some of my college hours managing the Lee Theater about six miles from school. I have good memories. Having Love Story at the Lee for 14 weeks, then getting transferred to the Criterion for the New Year’s Eve premiere of Nicholas and Alexandra was enough for my movie career. I have been to the movies since then but I don’t go very often. I was blown away when I saw that tickets to Les Mis cost $12.50 each. People may complain more about the cost of popcorn (movie popcorn prices have popped disproportionately to average theater ticket prices over the last almost-100 years) but ticket prices make the better indicator. My first haircut was, well let’s just say I had pretty, long hair at the time. And not a lot of language skills. And I got a lollipop. My folks believed in the “butch” cut, so the barber never had much trouble performing, other than to get me to sit still. I rebelled the summer before I went away to school. OK, I told my mom I was too busy to get it cut. At any rate, it had grown out to almost an inch long by the time I got to Hoboken. And it kept doing so. I haven’t been to a real barbershop since about 1967. One of my roommates taught me how to trim and more-or-less shape it in the mirror. Later, I taught SWMBO how to trim and shape it quite well. Even she stopped cutting it in 2004 when I ripped the kitchen floor up in Renovation, v. 2, the Sequel. I’ve kept it pretty short using the mirror again since I shaved my head for Cap Cancer in 2009. I was blown away when Rufus told me a $15.00 haircut was a bargain. Those prices have climbed faster than the CPI which Federal Government uses to figure inflation. Or the PCE which the Federal Government uses to report inflation when they don’t like the CPI. Or the Chained CPI which the Federal Government uses to obfuscate inflation when they don’t like the CPI or the PCE. There’s no hyperinflation if you believe the official statistics. We need a better indicator. Youtube is crowded with Quick Belly Inflation guides, most of which use air compressors. We really need a better indicator. The fact that hamburger “sale” prices have quadrupled while Uncle Sam tells us inflation is flat shows that Harper’s new Inimitable Impressive Inflationary Indicator is practically perfect. 1 Unlike, of course, the majority of economists today. In 1965 a six-pack of your average American beer cost just 99 cents, too. SWMBO flew from the frozen North back to South Puffin Saturday. It was an Adventure. “The Guard was flying, though,” she said, smiling. “I got to sit in a rocking chair on the second floor and watch them touch-and-go.” The Vermont Air National Guard also flies from Burlington International. The late aircraft was a making the loop from Newark to Burlington, Vermont, and back, something they do day in and day out. Maybe they lost their directions. The story gets worse. Long before we drove south, SWMBO booked herself a United 4894/United 1242 flight so she (coulda shoulda) leave Burlington at 1:45 p.m. and arrive in Florida at 7:33 that same evening. Almost perfect scheduling. About a month later, without so much as a by your leave, United changed her to a pair of new United flights, 3868/1730. That combination was to leave Burlington at 3:30 p.m. and arrive in Florida at 10:33. Then they changed her Burlington departure time five times on Saturday alone. #3 was an hour and twenty minutes late but they moved it back to the 54 minutes with #4 and then to an hour and eleven minutes about eight minutes before #4’s scheduled takeoff. Meanwhile, I had a little list. I don’t get off the rock all that often and I certainly don’t go back to the United States more than every month or two when I’m here in South Puffin. Our shopping opportunities here are limited. Marathon does have a Kmart and a Dollar Store but there is no Costco, no Sears, no Target, and no WalMart (Cuba is closer than Wally). SWMBO likes a couple of WalMart store brand items. And none of the stores here sell Caffeine Free Diet Pepsi™. Some things are worth driving for. The Homestead WalMart was out of Anne’s requests and nobody had Caffeine Free Diet Pepsi™. I did buy a bunch of other stuff but I ended up in line at WalMart an hour before her plane was supposed to land. That’s when the woman ahead of me in line needed help with her Epson Salts. See, WalMart had dropped the brand she liked. She brought her empty and three big bags of the competitors up to the register with hopes the cashier could tell the difference. I stepped in when the cashier picked up the phone to call someone from that department. “May I look?” I asked. Sometimes I love being a consultant. After all the Fly United shenanigans, Anne made the second leg with time to spare. It landed almost half an hour early. After all the Fly United and the WalMart shenanigans, I was more than half an hour late. Sheesh. On the other hand, we were so late, she was OK with trying another store in Pembroke Pines to get the stuff I hadn’t found in Homestead. It was nicer, faster, cleaner and had everything on the list but the Caffeine Free Diet Pepsi™. It’s a 280 mile round trip to the airport. I started with three-quarters of a tank of gas in the truck, so I was ready to refill when we got back to Homestead at 12:45 ayem or so. The South Puffin gas station sign showed $2.309/gallon when I pulled out. I carefully monitored the prices on the way up. $2.329 and up around Islamorada and Key Largo. A couple of stations advertised $2.299. An Exxon in Florida City was the cheapest at $2.259 so I had planned to stop there. Pulled in to the brightly lighted gas station. At that hour of the day, I had my choice of pumps so I took the one closest to the station door. Ran my credit card. Did the usual. Put the pump nozzle in the tank filler. Pushed the grade button. [BLINK] [BLINK] [BLINK] [BLINK]. Uh oh. I pushed buttons for a while with no change. That’s when I walked over to the station door and saw the little “CLOSED” sign. The good news is that when I hung the nozzle back up, the pump asked if I wanted a receipt. And my receipt show a sale of $0.00, so Yay. The Mobil Mart across the street advertised $2.279 so I went there as my second choice. 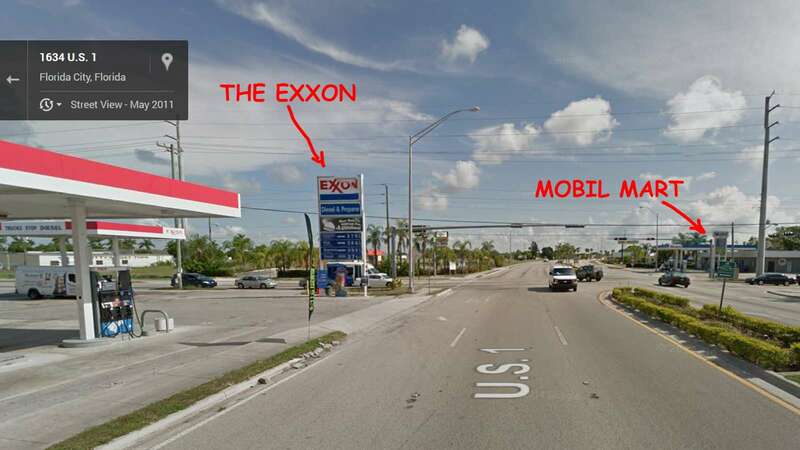 I do wonder about the difference in price between the Exxon-Mobil station on one corner and the Mobil-Exxon on the other, but that’s another story. There were people milling around and a couple of cars there, so I figured the other station was fine. I again took the pump closest to the mini-mart door. Ran my credit card. Did the usual. The pump screen flashed the message “See Attendant.” Uh oh. The milling people had coalesced into a small crowd of homeless men and women gathered in the parking lot. One took a moment from their social media site to ask me for a nickle. “Even four cents would do it,” he said. Sorry. I have no change in my pockets at all, I said, rattling my shorts and making no jingling sounds. The attendant and I tried my card again inside. This time the retailer got a “declined” message and I knew exactly what had happened. Visa had robotically seen this odd set of purchases and blocked the card. I called the 800 number, punched in my card number, my brother’s mother’s name, and the birth weight of my first puppy. Visa unblocked the card. The homeless folk were interfacing with another group in the opposing parking lot across the street. One man broke away from my group to show me that he had red paint dripping from his hand. “It looks like paint,” he said, “but it’s too sticky.” He asked for a quarter. The fact that he also had a penknife in his other hand made me think it might not be actual paint. I didn’t have any change for him, either. SWMBO had long since locked the truck doors so it was pump gas or walk for me. I pumped 16.25 gallons for $37.00. An ambulance whooped up while I was looking for the non-existent windshield squeegee at the station. Two police cars followed. I drove out without further incident. I told my tale to a friend on the beach yesterday. She was amazed. “But you saved three cents on gas,” she said.